Duncan joined United after he was released by Dundee. He was at Tannadice for two seasons, spending more time in the reserves than he did in the first team and left United to join St Johnstone in June 1975 in a deal that saw Henry Hall move in the opposite direction. Duncan was born on this date in . A week earlier the section venue had been over in Fife where United's visit opened the season. 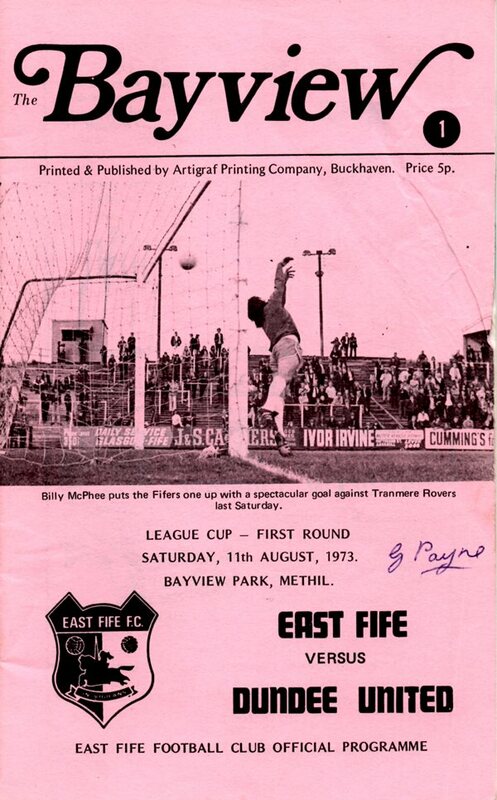 Almost 4,000 watched the fare on offer — a far cry from the miserable attendances currently plaguing the Bayview men. The challenge to qualify from the section was still alive although were virtually ruled out of contention by that stage. Goals were to be of prime consideration for the Tannadice side as joint section leaders Aberdeen and Motherwell met at Fir Park the same afternoon and second qualifying spot jested on a clear cut result there, and United's ability to hammer in the goals. There was no hiding the elation felt by young United striker Paul Sturrock as he scored his first goals for the club against champions Rangers.